Walk to everything! Head downstairs for coffee, shopping or a stroll. Enjoy the beautiful community with gym, pool, private resident clubhouse area, sidewalks and views of downtown from the rooftop. Impeccable top floor unit with bonus features-plantation shutters,all appliances stay,largest storage unit with window right next door for easy access. Newer building 2008 with superior sound insulation for quiet living in the city and comes with 2 deeded gated parking spots. Vinings Jubilee 3/4 mile and ideal location for getting anywhere in metro Atlanta, I-285 <1/4 mile. 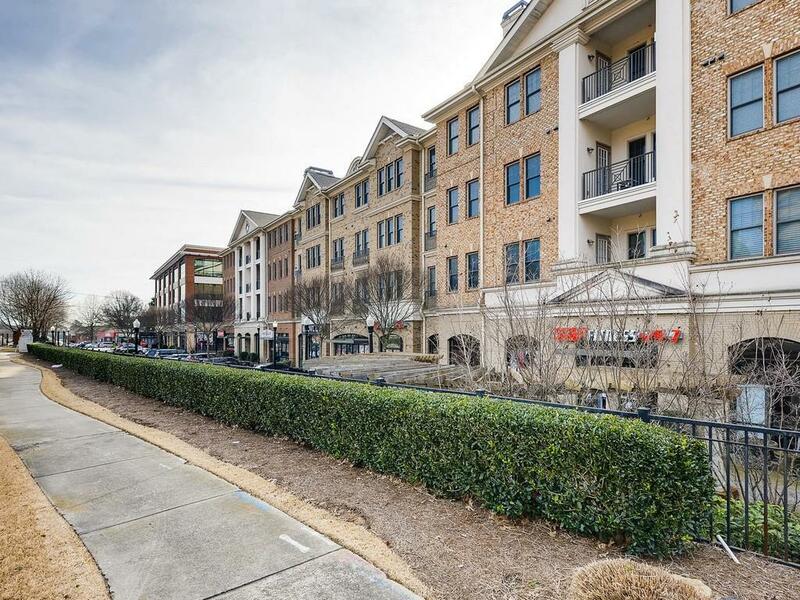 Directions: I285 Exit 18 Paces Ferry Road Towards Vinings (Turn Inside The Perimeter), Right Onto Vinings Slope At Vinings Main, Building Immediately On Left, Park At Brick Pavers.